One can schedule Windows Defender for a complete or quick scan in order to save the PC from threats and attacks. This is an inbuilt malware protection app provided by the Windows in order to save the PC from unwanted incidents. This is one of the best tools in use to save the device but the only is that it does not provide any straightforward way to schedule a scan. 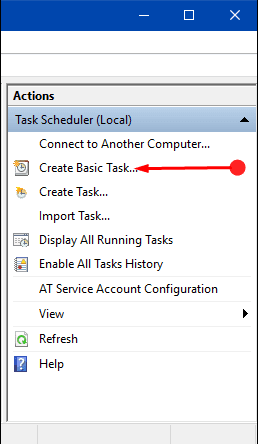 The only way out in this situation is to use the Task Scheduler that will do the job of scheduling the scan. With the Task Scheduler, it is possible to Schedule either for a Full or a Quick Scan. Windows Defender Full Scan is a time taking process as it precisely scans your hard disk. Whereas on the other hand, Windows Defender Quick Scan takes care of those sectors that might possibly contain the malware.